The Plantation is Fort Myers’ premier golf community, with 18-holes of Hurdzan-Fry championship golf course. (membership optional), and resort-style amenities. 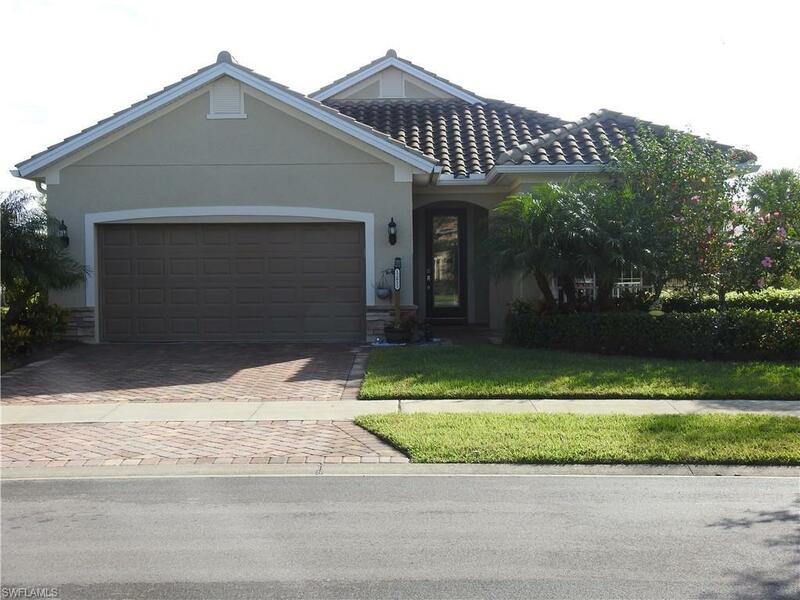 Beautiful home in The Plantation Somerset gated golf community. This 3 bedroom, 2 bath home is finished with designer upgrades and a 2 car garage located on a beautiful lake where you have peaceful lakefront living. This lovely home includes custom paved stone driveway, front porch and lanai. This home has neutral porcelain tile floors set at a 45 degree angle throughout except in the bedrooms. The kitchen has all stainless steel appliances with quartz counter tops and top of the line wood cabinets. Included with this home are all impact windows and sliders throughout for security. Also, included is an in-wall pest control system. This home is minutes from RSW airport, shopping and great restaurants.